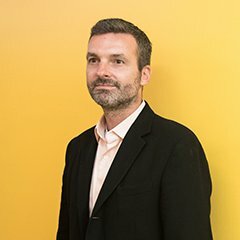 What would happen if companies and organizations that collect and infer data about you were required by law to securely send you your data dossier monthly? 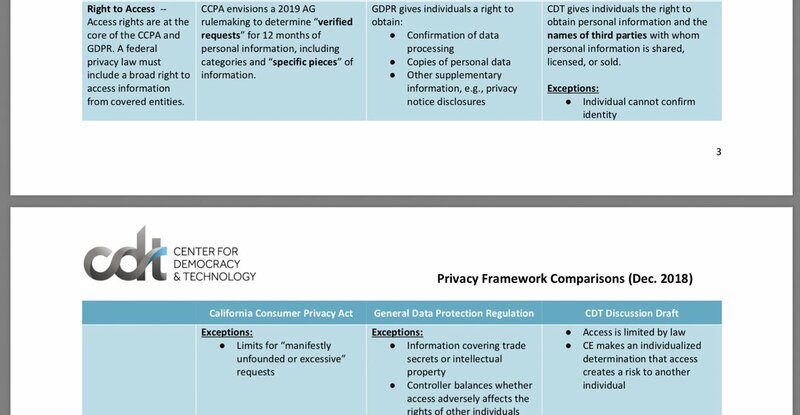 I think @CenDemTech made a really helpful comparison chart between CCPA, its own national data rights bill, and GDPR. 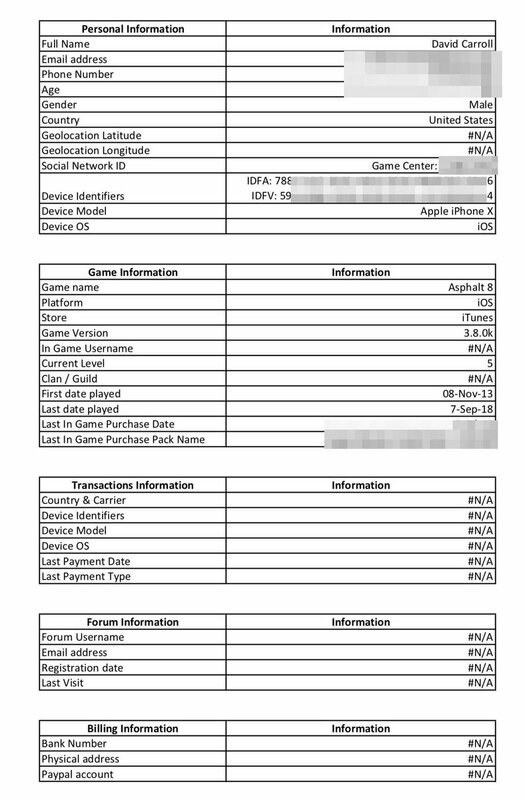 Here’s the comparison on the Right of Access. If I ran a company or organization I would try to get so far ahead of future litigation and just voluntarily send a secure link to my customers/users data dossier as a monthly email reminder to encourage healthy data rights hygiene. Tip: mention @threader_app on a Twitter thread with the keyword “compile” to get a link to it.